English) once a week in the afternoon (see below). Students may take only one course, or any combination of the courses. region that hosts mountains and rolling hills, well-known for its refined wines, as well as several prominent seaside dishes. Explore the surroundings of Florence through the sense of taste, experiencing a different city and area of Tuscany each week, all while cooking exceptional meals. 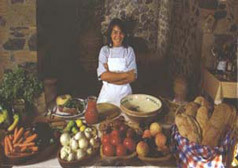 C-2 Regional Cooking Course – A taste of Italy – come and experience how the various regions of Italy each developed a unique taste for produce. Find out where and when some typical dishes were invented (lasagne, risotto alla milanese) and give them a try by cooking and then tasting the delicious outcome. C-3 Italian Baking and pastry Course – How is Tuscan bread made? What is the difference between ‘Focaccia’ and ‘Schiacciata’? What are ‘biscotti’ in the Italian culture? Learn more about Italian regional desserts and their characteristics! While attending class you will learn the cultural staples of Italian baking and pastry, such as Tiramisù or Cantuccini di Prato, according to their appropriate seasons. Wine – another Italian excellence – These classes will help you identify and map the vines and wines which hail from Italian soil. 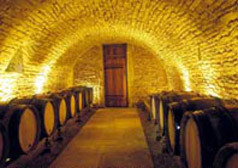 Through the tasting of wine, you will gain familiarity with Italian wine culture, and signature wines. 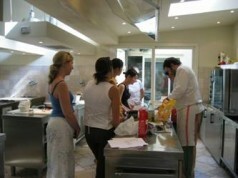 C-5 Food and Wine tours an visits in Florence – First-hand experience while on site! Each week you will have the opportunity to walk through the city center and taste special products and dishes that distinguish Tuscany from the rest of Italy. From the elegant “Enoteca,” to the more traditional “Vinaino,” a specific focus is placed on street food and its implications in contemporary Florence. Class tours will guide you through a direct and cultural on-site experience!